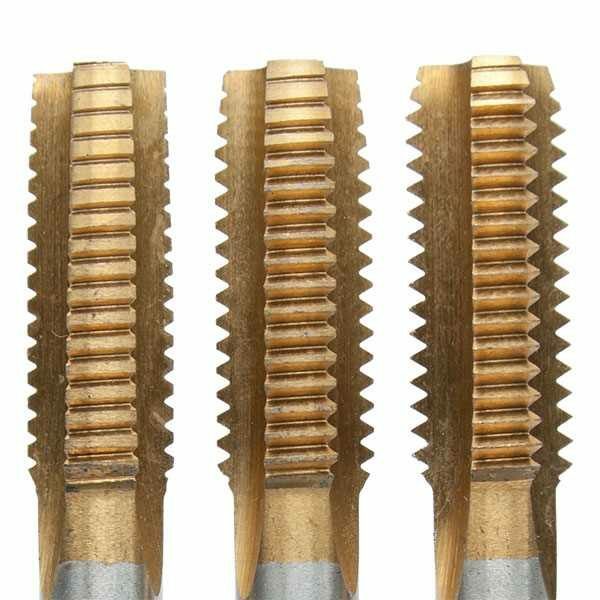 Serial Tap sets (designated as Rougher, Intermediate and Finisher) actually vary in thread diameter, unlike conventional tap sets (Taper, Second and Plug) where the difference between each one is the length of the taper. Because the major and pitch diameter of the Rougher is smaller than the Intermediate, and the Intermediate is smaller than the Finisher, each tap removes a smaller volume of metal resulting in a extremely smooth thread. Excellent for tapping deep holes and tough metals such as stainless steel.